Mackenzie “Mack” Phillips is a regular guy who is married with three children living in a middle-class home in the villages. He’s a devoted husband and a caring dad. Most importantly, he’s a churchgoing man. As for Mack, well, his relationship with God is decidedly more detached. Still, he hears Mass on Sundays even if he doesn’t participate enthusiastically. His best friend, Willie, is a faithful follower of Christ, one who has the ability to help Mack stay in the fight when he’s struggling spiritually. For all that, though, Mack’s not really a “normal” guy at all, however we might understand that term. He carries loads of emotional baggage. Not that good, huh? Mack wrestles with painful memories of his drunk, abusive father beating up his mother black and blue. When Mack responds to an altar call at church one day as a teenage youth, it is not to accept Christ, but to tell the pastor how his father hits his mother. That revelation, however, leads to Mack’s father tying him to a tree, brutally scourging him, and leaving him in a strong storm throughout the night. No wonder Mack’s got some father issues he’s still struggling through. Then the tragedy strikes that shakes Mack’s world now as an adult. Mack and his kids are going camping. Until, that is, the two oldest Phillips children, Kate and Josh, have a life-threatening boating misfortune. And in those few precious minutes of rescue and resuscitation, the unthinkable happens: Mack and Nan’s youngest daughter, Missy, is kidnaped. Eventually, authorities stumble on Missy’s blood-stained dress at a shack in the neighborhood. But they never get to find their littlest girl. And so the four remaining members of the Phillips family begin their mourning. Whose queasy joke is this? Mack speculates. He tries to fasten it on Willie, but his friend denies he had anything to do with it. But Willie is willing to go with his friend to the cabin using his four-wheel drive to break through the drifts. And so, Willie faithfully shows up, his Bronco loaded with supplies. But Mack has another plan: He’s going to the shack alone to get to the bottom of this mystery—and perhaps resolve to deal with his devastating guilt and his stranded faith—once and for all. “The Shack” is about one man’s salvation, on a number of diverse levels: spirituality, interpersonal relationships and family life. There’s not a single relationship in Mack’s life that’s not deeply wedged by what has come to light when he enters the shack. After Missy’s abduction and murder, Mack withdraws within to deal with the pain. But his wife Nan lovingly, courageously meets head-on with his self-focus, saying, “Don’t forget we love each other.” It is a statement that gives emphasis to the significance of a husband and wife upholding loving communication when going through tough times. After Mack’s meeting with God at the shack, he learns that Kate feels accountable for her sister’s kidnapping. Mack and Kate at last grieve together, with father comforting daughter that she’s not to blame for what happened to her sister. Granting it is winter at the shack initially, eventually the season changes to summer. The snow is gone. Flowers bloom. Birds sing. And a cabin in this supernatural setting seems to be calling Mack’s name. I was in awe watching this scene! Jesus, for His part, looks like a young Jewish man with a big beard and a bigger smile. He uses His carpentry skills to build something important for Mack’s healing. The Holy Spirit, meanwhile, who’s called Sarayu, emerges as a tall, slender Asian female. Papa tells Mack, “It’s here you got stuck”—referring to his daughter’s death. And God is determined on getting Mack released. Mack’s discourse with Papa revolves around recurrent questions of the faith: How can a kind and caring God allow evil? Does God throw out His people in times of need? Should evildoers be forgiven? Should a man be judge and jury of those who have wronged him? Does God plan out tragedy? Does forgiveness of a horrendous wrong come about instantly, or does it often transpire over time? A creature who describes herself as Wisdom (described figuratively in Proverbs as a woman) gives Mack a chance to see that Missy is alive in a heavenly place where Jesus dwells. This realization gives him the strength to move to his next challenges, both involving forgiveness. The first involves a get-together with his late father, who express regret for his behavior of Mack on earth. Later, Mack is invited to pardon his daughter’s killer. Mack also finds a Gideon Bible. It’s clear that the Holy Scripture is considered as the source of truth and revelation. With so much fertile spiritual ground covered in this film, it’s not surprising there are a few imperfections. For instance, God’s loving, forgiving nature is emphasized and reemphasized over and over. And that highlighting on God’s immanence—his intimate nearness, as theologians define that term—is not counter-balanced by that other feature of God’s character as disclosed in the Scriptures: His transcendence, a word that encompasses His holiness, and the fact that He is wholly other from His creation. Admittedly, it’s an incomprehensible puzzle to get our restricted minds around; but it’s an absurdity that Scripture nonetheless gives us. 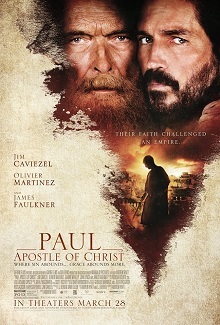 Another theologically difficult moment comes when Papa tells Mack that He did not leave behind Jesus on the cross, despite the fact that Jesus Himself said, “My God, my God, why have you forsaken me?” Papa’s statement in the film fails to recognize that Jesus not only carried mankind’s sins, but, according to 2 Corinthians 5:21, Jesus actually became sin. Because God the Father is holy, when Jesus took on humanity’s sin at Calvary, the Father did abandon Christ (until redemption was accomplished soon thereafter). In supplement to those two recognitions of Christ’s death, Papa’s wrists show the scars of crucifixion. The Holy Spirit also bears comparable wrist scars. While perhaps it’s meant to present how the Father and Spirit related with the Son’s torturous death, it could lead some movie buffs to erroneously believe that the Father (and Spirit?) died when only Jesus, in fact, did. By the time the end credits roll out, Mack is a changed person. His encounter with God has transformed him and birthed real faith in God. Fortunately, there is none while there is a glaring innuendo of a sexual assault of a young girl. In a moment of desolation, Mack points a gun at his head before he’s (providentially) disrupted by a noisy deer. It’s also inferred that Mack, as a teen, killed his father (by poison) before running away from home, a choice that’s haunted Mack his whole life. Elsewhere, Mack hits his head; there’s an overturned canoe (and a moment of danger for Mack’s middle daughter); a car crashes (mostly off-camera). Mack says, “Oh, my God,” only to apologize the Trinity. Mack’s father is an abusive drunkard, something the film depicts as evil and immoral, and yet also forgivable. There’s never any suggestion that Mack plans to turn himself in to the authorities for poisoning his father as boy. He also lies to his wife and steals his friend’s truck (albeit only temporarily, of course). Papa enjoys listening to songs by Neil Young and never offers any admonitions for such disturbing tunes as “Down by the River” (which involves a confession by a man that he apparently murdered his girlfriend: “I shot my baby/Down by the river/Dead, oh, shot her dead”). ‘The Shack” I must say, will leave you longing for the presence of God. For He has wired that in us and we can reach out to Him in prayer. The film invites people to see God in a more healing way—just as happened to Mack himself. A man who suffers the loss of one of his children understandably cast doubt on where God was during that catastrophe. It is a query that has been asked since the beginning of time. It is the purpose behind the book of Job. 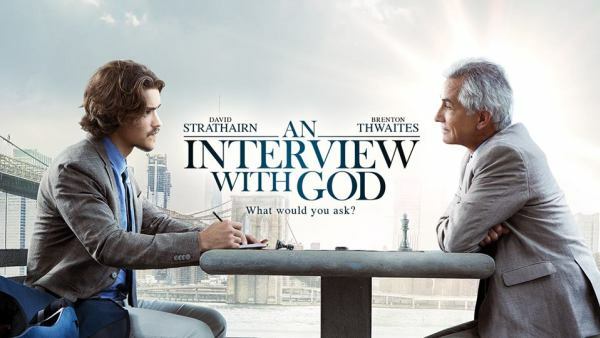 And yet, as in Job, the answer is more, “I am God; trust in Me,” rather than, “I am God; I owe you an explanation.” What film enthusiasts do get is that God truly cares. He loves us deeply and unconditionally. He wants to heal our brokenness. And He can certainly do so- when we let Him. And now, who is this God according to “The Shack”? First, He is not an intergalactic force wanting of character, personality or power. He’s not a huge wet blanket who sneers when we feel pain or disappointment. He’s not just our conscience or ethics, either. No, in The Shack, God is the great “I Am” (actually stated in the film). He is Trinitarian in nature (a firm notion to take in and teach vocally, in print or on film). The second person of that Trinity was (and is) completely God and wholly man. He can walk on water and control the foundations or rudiments of the world even in the entire universe. The Holy Spirit sees our disarrayed “garden” of life and wants to bring stability and harmony from the mess we are in. “The Shack” brings noteworthy messages about God in a world frantically looking and longing for answers. Does it provoke valid, even significant theological matters? Absolutely! But just as Mack was led in the film to discover more about God in his Gideon Bible, hopefully film enthusiasts will take action the similar way to the silver-screen version. 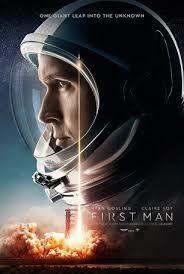 Truly worth watching and uplifting! I highly recommend this film to every one going through trials and for those who seek inspiration and enlightenment then embrace conversion in their lives. The film will help them to start forming a deep devotion to and relationship with God through our Lord Jesus Christ whether it be Holy Week or anytime but the sooner the better! The Shack deserves a perfect score of 5 stars no less! Thank You, God. It was wonderful meeting You at “The Shack”!